The sampler kit includes our best-selling designs, printed envelope, color chart, and font chart. 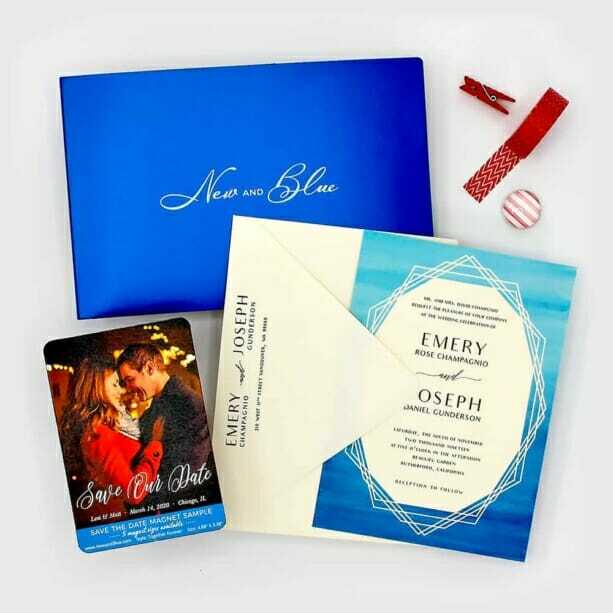 A wedding invitation, save the date card, save the date magnet, and all-inclusive invitation are included. Styles in the sampler kit can’t be customized. Free shipping in the USA. The sampler kit includes our best-selling save the date magnet designs, printed envelope, color chart, and font chart. Also included in the sampler kit is a wedding invitation, save the date card, and all-inclusive invitation. Sorry, specific style requests are not possible with the free sampler kit.